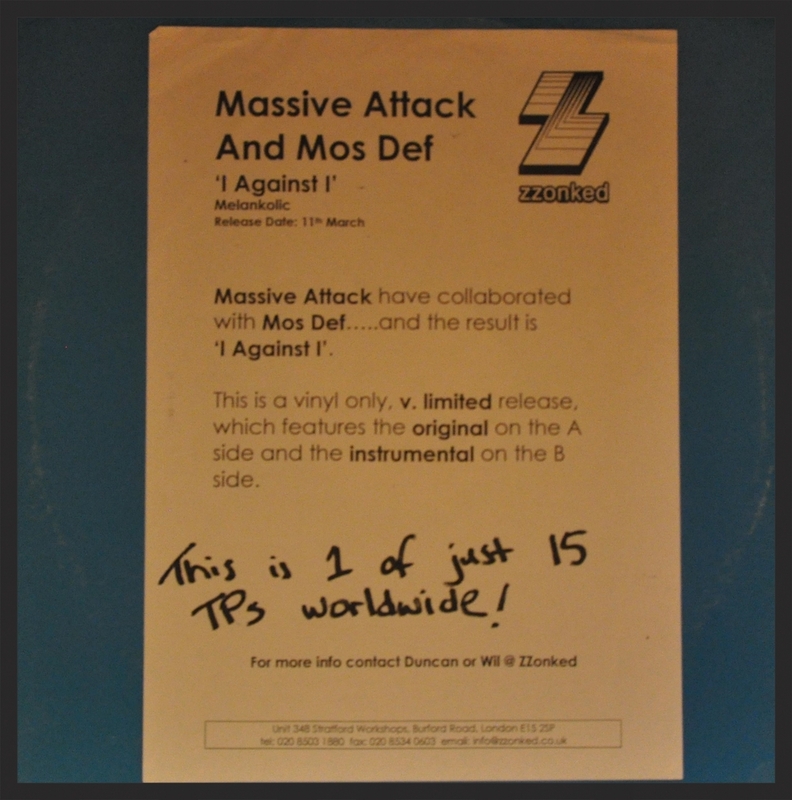 Notes: This is the only Massive Attack song released by Melankolic Records. 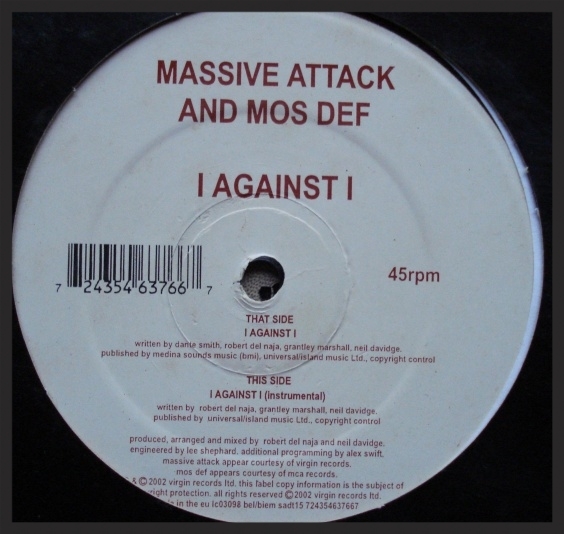 It is also the only place where the instrumental version of I Against I can be found. It is reported that there was only between 500-1000 copies of this vinyl produced, however it's regular appearance on auction sites and rare record shops would seem to contradict this fact. Evidently alot of bootleg copies were produced. Notes: The accompanying press release for this test-pressing/acetate vinyl states that there was only 15 copies produced.